Comment: Wind damage. Approximately 5 foot section of aluminum siding tore off fascia board at roof line. New piece may have to be fabricated. Would also like remaining siding secured. Comment: Replacement of section of siding or entire home siding. Comment: I have a single car garage that I am requesting vinyl siding estimate. The project needs to be completed in April 2019. Comment: We are looking to add siding to the front facing of the home and the garage. Comment: We are looking to add siding to the front facing of the home and the garbage. Comment: Siding loose and some panels missing. Dearborn Heights Siding Contractors are rated 4.61 out of 5 based on 1,111 reviews of 16 pros. 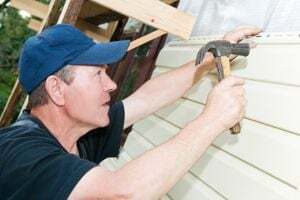 Not Looking for Siding Contractors in Dearborn Heights, MI?